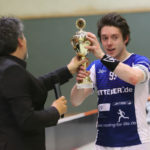 The “Road to Neuchatel 2019” – as only the Swiss team is qualified for their home World Floorball Championship in December 2019 in Neuchatel / Neuenburg, all other teams compete in late January and February 2019 for the spots in the tournament. Here is a preview majorly focussing on the European Qualification: Flyctory.com will partially cover the matches in Trencin, Slovakia. 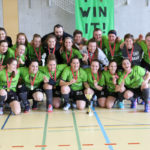 The Road to Neuchatel – How to Qualify? The latter is determined based on points and goal difference. However, in the five team groups, the matches against the fifth-placed team are eliminated for that comparison. For the teams which are candidates for these joker spots, this means that a draw score against the second placed could be already the wildcard for Switzerland. You may not beat Finland, Sweden or Czech Republic – but you might go for a close score and try to massacre the fourth-placed team. The system ist not too pleasing – but there is no better chance as well. The qualification for the American teams is much easier: unfortunately, there are just two candidates again: the USA will host Canada in Detroit for a best-of-two series on 8th and 9th February 2019. One team will advance. 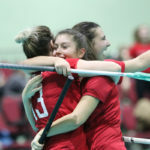 As the USA lost some players like Tiffany Gerber and Anne Jumppanen, Canada might be in the slightly stronger positions. Asia is a bit more complicated. Eight teams meet in Bangkok, Thailand, split into two groups of four teams. The group stage winners play a final, but will already both be qualified for Neuchatel. The second placed teams play against the third placed team of the other group each. The winner of that match will also do travel plans for Switzerland in winter, regardless how the result of their Place 3 match will be. The top seeded nations are Australia, Japan, Singapore and Thailand, but especially New Zealand and (South) Korea will definitely be teams to look out for. (Note: the matches in Thailand started before the European ones. I wrote this section some days before publishing my posting. Results may proof me wrong already). The some 90 minutes away from Bratislava city of Trencin will host two groups of the qualification. The hosts did a great development the last years. However, the Slovaks relegated in the previous Under 19 Women WFC to B division. Group 2 is a five teams group, headed by Finland. Anything but Germany and Finland easily qualifying would be a nightmare for these two countries. It is good to see Austria becoming stronger again, but I feel they will not make it to Neuchatel. Spain may be a challenging opponent, but will not be able to beat the quite young German team. Finally: Russia. It is always hard to judge about the quality of a Russian team before a major tournament or a qualification. You would expect them to finish third, but they have the potential to surprise in both directions. Finland’s women floorball is struggling a bit, but I guess they are the factor that no third-placed team from this group makes it to Neuchatel. As flyctory.com is covering the Trencin Qualification, here is the full schedule of group Europe 2. Matches which are not covered will be shown in italics. Hyperlinks in the result column lead to match reports, when available. In general, the group 2 teams have to wake up early, as they tend to have the morning matches. The group of the hosts has a lot of potential for interesting matches. Latvia is the top-seeded team in here, but I guess that Slovakia will win this group. Latvia will likely end up second. It is hard for me to judge whether not having a Big 4 Nation in their group is a good chance for Hungary to take one wildcard spot. On the one hand, they will likely not loose too much goal difference – on the other hand, Latvia and Slovakia might be quite equial and both add some goals on the scoreboard. The Netherlands, who cannot rely on Lidwien Reehuis as a netminder, may also be comparably competitive in this group – though it is hard to imagine that they can grab the ticket to Switzerland. Here are the matches of group Europe 4. Non-covered matches will be in italics. 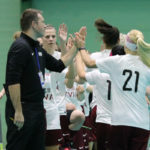 Due to the lower number of teams, Group 4 starts one day later with the Latvia – Hungary match. Hungary and the Netherlands conclude the matches in Trencin (which leads to very tricky travelling for me). AWFiS arena in Northwestern Gdansk will host the European qualification groups 1 and 3. 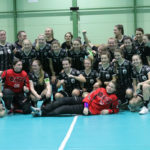 Not only the recent Champions Cup, where the Polish national team featured three players including cup winner Malgorzata Kulczycka, illustrated that the hosts are growing strong in women’s floorball. The four-team Group Europe 1 is maybe the most interesting of all four. The following teams are facing each other. There is no need to discuss about Sweden being the favorite and also the team who will easily make it here. But there are two teams, who should make it to Neuchatel: Norway and Denmark. One of them needs to take the spot of a third placed team and see what the other groups are doing – so that the Norway – Denmark match will be one of the key matches of the whole European qualification. They may struggle with a lot of goals against them in their Sweden matches – but on the other hand, France is one of the weakest teams in the qualification likely. I can hardly believe that the final ranking of this group will differ from the ranking. However, Poland is in a very interesting era. Most of the experienced players are still active. Malgorzata Kulczycka just won the Champions Cup, the Krzywak sisters or Dominika Buczek are improving steadily. Might be better for Poland to go for the upset in Switzerland. I would love to see Estonia qualify for Neuchatel as well. The task will be tough for the nice team, in which the Klavan sisters are re-united in the rink. It is a challenging task for the Baltic, though. Italy should beat Belgium, also because due to the Swiss-based players like Linda Pedrazzoli, who I recently watched playing with the Kloten-Dietlikon Jets.